08 OctOpen Enrollment what does it mean? Are you wondering about the buzz you are hearing Open enrollment and what does it mean what is it about? Open enrollment is a period of time every year that you can sign up for health insurance. Also a time, you can review your plan see if you need to make changes. You may also hear people refer to Open Enrollment Period as OEP. Enrollment periods depend on the type of plan you have. Open Enrollment for Medicare begins from October 12th and runs through December 7th. Health Insurance for the Affordable Care Act also known as Obama care open enrollment begins November 1st and runs through December 15th. If you are employed and have group insurance your group also has an open enrollment period. This can vary by your location, your group, and is set by your employer. What if you do not fall into one of the open enrollment periods because we all know life changes. Is there any exception to the OEP. 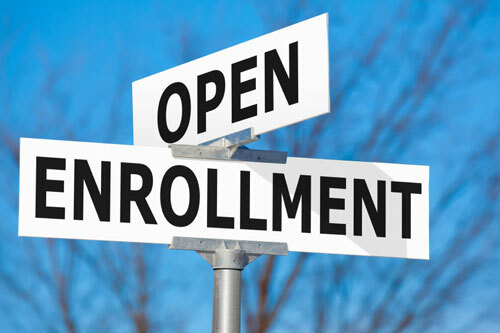 Yes, there is, Insurance plans that use an open enrollment system have an exception that allows you to enroll outside of the open enrollment periods. under certain circumstances, most commonly known as life events. To find out if you would qualify for a Special Election Period also known as SEP is to talk to us your local agent to see if you qualify.